I filmed the second of my two Imelda poem-films for the show today. So I was rejected recently. Nothing new there. Got knocked back by Verb New Voices, who didn’t think much of a proposal featuring filmpoems. I don’t care, I love filmpoems, so here’s a couple of new ones for you. Please contact me if you’re available to re-record the voiceovers, I loathe the sound of my adenoidal toddler-voice. Plus of course, the inevitable sweary rant that is Primavera, recently screened at Stage 2 of Northern Stage!!! Hahahahahaha. Valerie Laws (www.valerielaws.com) is a crime novelist, poet, playwright and sci-art installation specialist. Of her thirteen published books, 4 are currently available as ebooks. A mathematics/physics graduate, she devises new poetic forms and science-themed poetry installations and commissions including the infamous Arts Council–funded Quantum Sheep, spray-painting haiku onto live sheep to celebrate quantum theory. Much of her recent work arises from funded residencies with pathologists, neuroscientists, human specimens and dissections. Another quantum haiku on inflated beachballs in Hackney Lido featured in BBC2’s Why Poetry Matters with Griff Rhys Jones, and live at Royal Festival Hall, London, and her installations have toured all over Europe. She performs worldwide live and in the media. 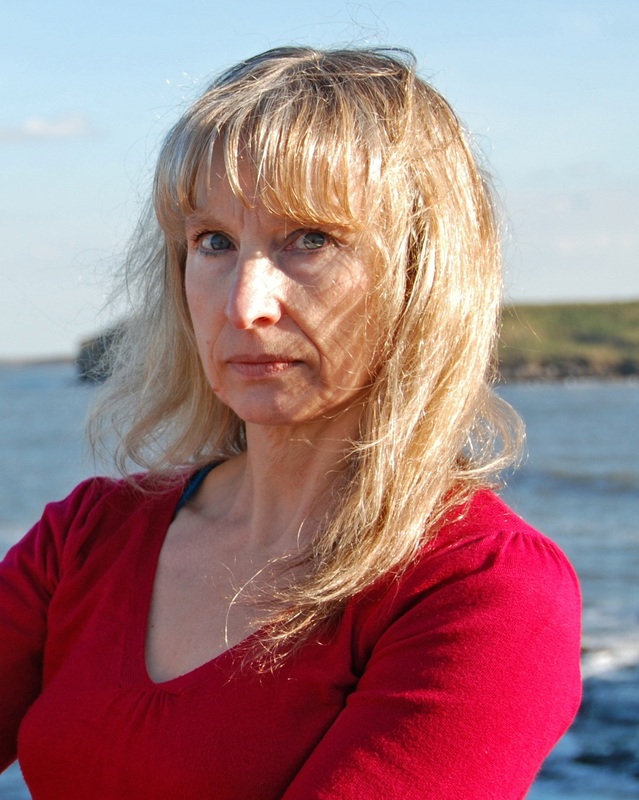 Her many prizes and awards include a Wellcome Trust Arts Award and two Northern Writers’ Awards. She is disabled and lives on the North East coast of England. And here’s my answers to the questions on everyone’s lips…. As usual, several things at once. I am one of a vast array of poets who have been commissioned to “respond creatively” to the Bloodaxe Archive, a collection of manuscripts, correspondence and ephemera recently donated by Bloodaxe Press to Newcastle University. The brief has proved dauntingly open, so I have several ideas in various stages of (in)completion – a selection of fragmentary documents from a lost archive of a dream nation; a performance poem about Tony Harrison, obscenity and the objectification of women; a sci-fi dialogue between a digital archive interface and a memory-user; and a text-based visual print. Typically, it is the two pieces featuring foul language that have made it almost all the way through to the submission deadline on Tuesday. I am also editing a short series of poems written for a local WW1 project, which are due to be anthologised in December. I’m also both editing, writing and re-writing around 35 poems for a second-round submission to Burning Eye Press, in the hopes that they may decide to publish my first full collection next year. In and around that I’m trying to write short ekphratic pieces responding to art exhibitions I’ve attended recently (especially Louise Bourgeois), and I’m also testing out some review-writing skills by blogging about spoken word shows I’ve seen at this year’s Edinburgh Fringe. I will soon be writing theatre reviews in a semi-professional capacity for the North East Artist Development Network, so I’m trying to keep high-minded whilst in actual fact I am mostly doing short humourous Facebook reviews of Ryan Gosling movies. Bloody Nora, that’s an intense question, presupposing I have a much wider knowledge of my contemporaries than I actually do. On stage I think I’m characterised by musicality of language and delivery. I was described by Sabotage Reviews as having an “intense lyrical talent”, which is nice. Thematically, I’m more Buddh-ish than many out there. On the page I think I still have a long way to go if I’m to establish a really unique voice. My recurrent struggle seems to be to write something that doesn’t bore and infuriate me with its polite striving to be another frigging poem. I’ve also recently developed a delight in shifting randomly from male to female pronouns – I think I may be interested in constructed gender identities and their relationship to sexuality. Possibly. Poetry is my natural gait, I can’t help the way I walk. Commissions aside, I usually write because an event, feeling or encounter has struck a note inside me and then another completely unrelated moment has come along and resonated with it. Sometimes the two notes are struck many years apart, but once they are ringing together then arcs of connective meaning spark out between them and a poem grows. When all goes well, the poem knows exactly what form it needs to take and I just follow it, praying I have the stamina to keep up. I always have multiple drafts, I’m a fanatical believer in editing, and much of my editing is done through reading aloud whilst walking on the beach near my house. This usually means that once a poem is finished, I have learned it by heart and can go on to perform it on stage. James McKay – seen here performing at Other Voices, snapped by Fay Roberts. Poet, traveller and classicist James McKay has been standing up and speaking in rooms, and helping others to do so, since the turn of the millennium: initially as part of Newcastle’s Home Cooking night; in recent years as a key team member and performer at Utter! Spoken Word events in and around London. 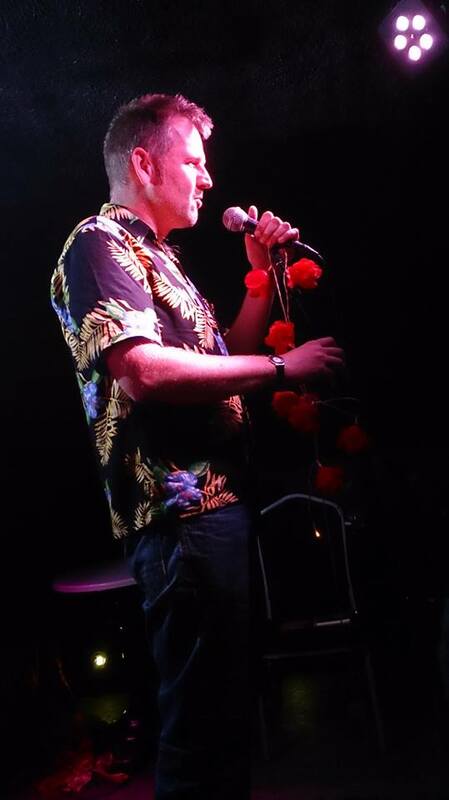 His vintage poetry-speaking show The New Popular Reciter was a late-night cult hit at the PBH Free Fringe in Edinburgh 2013, and will reappear in 2015 in a version directed by Matt Panesh (aka Monkey Poet). Along the way, his poems and performances have appeared on the poetry-and-prog-rock album Follow On by The Morris Quinlan Experience (Round and Round Records, 2007), in his first published collection Quiet Circus (Vintage Poison Press, 2011), and at a bewildering variety of cafes, churches, small magazines, warehouse parties, weddings and miscellaneous spoken word events.